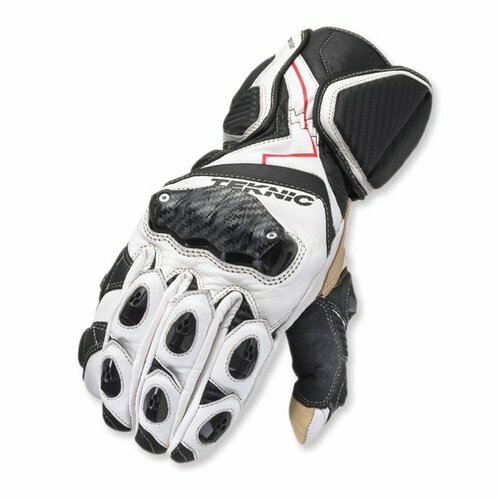 Check out our video review of the brand new Teknic Xcelerator Gloves at RevZilla.com. We are impressed. Coming in at $161.99 (10% off MSRP at RevZilla), the Xcelerator packs in some serious features unseen in a glove at its price, including PU Airblade knuckle protection, a Kangaroo palm with step seams, and Knox Scaphoid protection. We think it's a great value for a full gauntlet to get you through race season or simply aggressive street riding. Bang for the buck, style and protection. If you want to do some compare and contrast on gauntlets, you can check out our section on motorcycle racing gloves as well.